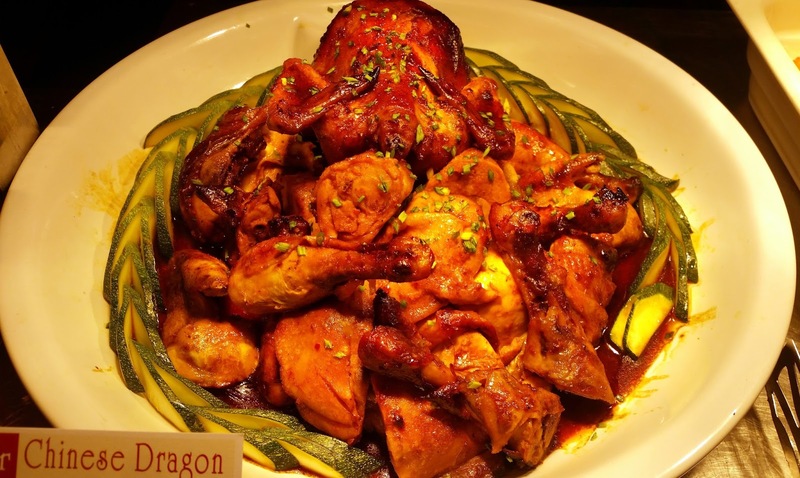 The Indo-Chinese cuisine has its roots at Kolkata, where during the 18th century Chinese traders, dentists, as well as those in leather business, had settled down in the area near Tyangra, now known as Chinatown. 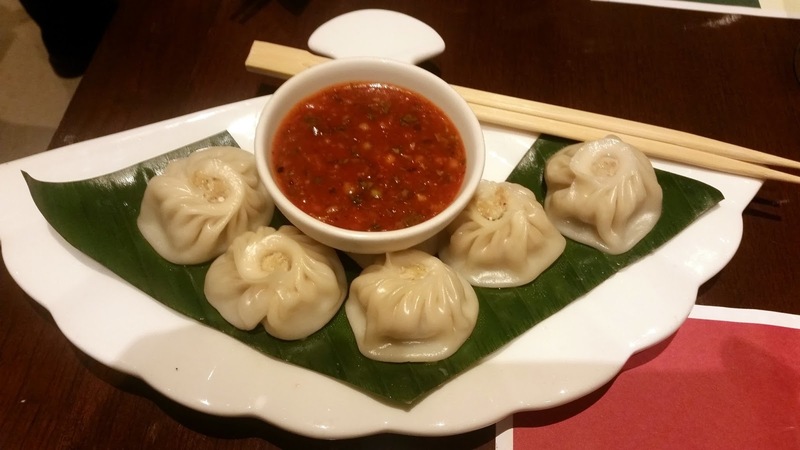 Along the Himalayas, influences of Chinese cuisine (mostly Tibetan) can be found in Ladakh, Kinnaur, Sikkim or Arunachal. Today most of the Chinese restaurants in the country actually serve this fusion Indo-Chinese food. 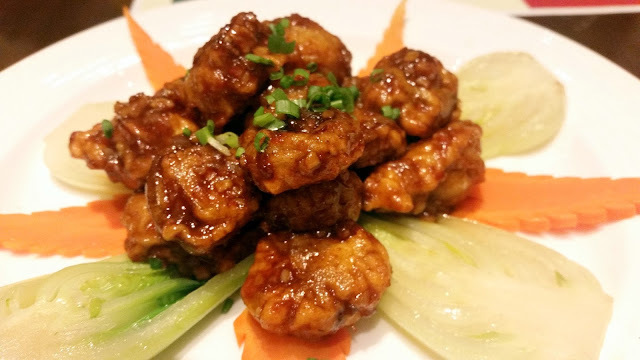 The much popular Chicken Manchurian, for example, is a creation of a Mumbai restaurant. 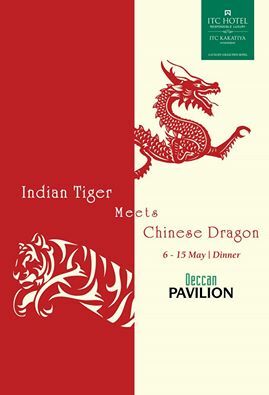 To present the best of Indo-Chinese recipes, Chef Kamal Sharma has curated “Indian Tiger Meets Chinese Dragon”, a promotion of Indo-Chinese food as part of the dinner buffet at Deccan Pavilion, the all-day dining restaurant at ITC Kakatiya. The Indo-Chinese items for the promotion have replaced the oriental items in the buffet. At the buffet, the Roast Chicken looked very inviting and next to it was a vegetarian dish, the sweetish Crispy Ribbon Sesame Pumpkin. 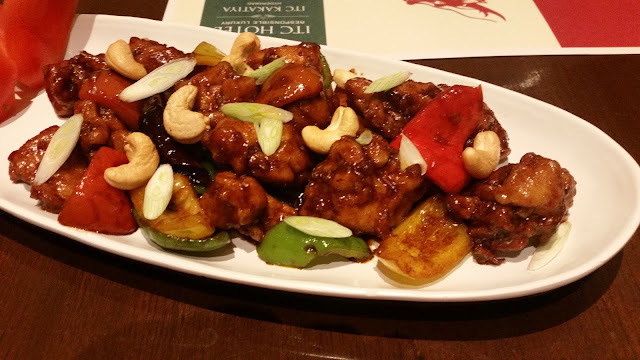 The starters served on the table included the familiar Kung Bao Chicken. A stir fried dish with soya, garlic, bell pepper and cashew nuts it was a great start to the dinner. Mushrooms with Black Bean and Chillies was a vegetarian starter which we all enjoyed. The dumplings were the next to arrive. Accompanied with a red chilli and tomato-based dip, the Vegetable Dumpling was more in Tibetan style, very close in taste to the familiar momos we find in the North India. 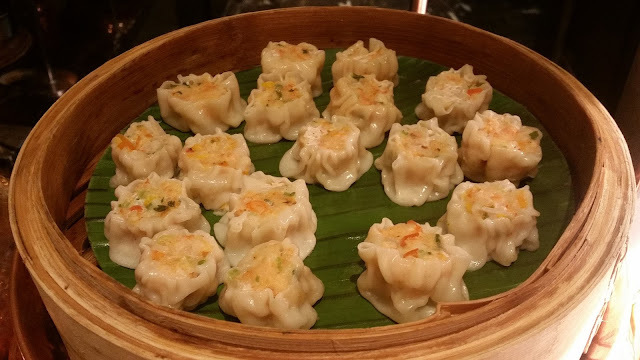 The Prawn Siu Mai, which was a take on the Cantonese preparation, was much in demand, with the seafood fillings inside the jacket extremely tasty. 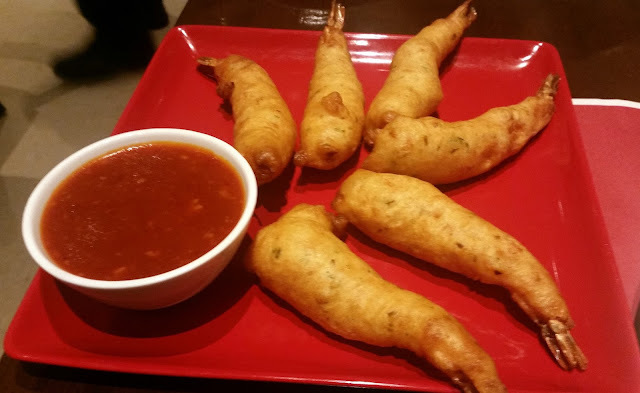 The eateries in Kolkata are known for Fried Prawns, and the ones prepared by Chef Kamal was authentic with the fried batter tasting exactly the same as in any Tyangra eatery. 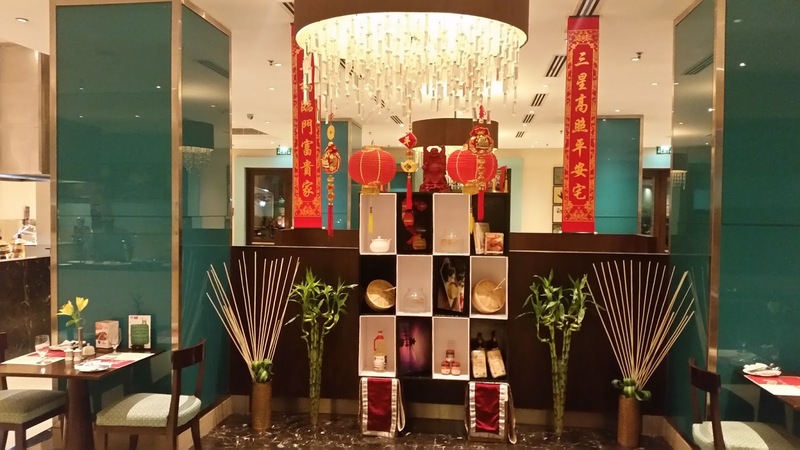 We enjoyed it with some Chicken & Egg Soup which was served tastefully with additional soya sauce and prawn crackers. For me, one of the best dishes of the dinner was Steamed Fish with Bell Peppers, a mild soya sauce based recipe which had not played with the taste and flavour of the fish. The dish would have been even more brilliant with some variety of river fish with its own distinct taste. The main courses included Egg and Vegetable Noodles cooked in Hakka style with of soya and black pepper. Again, this was a much localized Kolkata preparation, which is more Indian than Chinese. The Pineapple Fried Rice was mild and fragrant and the Ginger Coriander Chicken was a perfect company for this. Coriander is not used in original Chinese food, but the Indian avatar often uses it, just like curry leaves are used in the Chinese bandies in Hyderabad and Chennai. I particularly liked this dish. 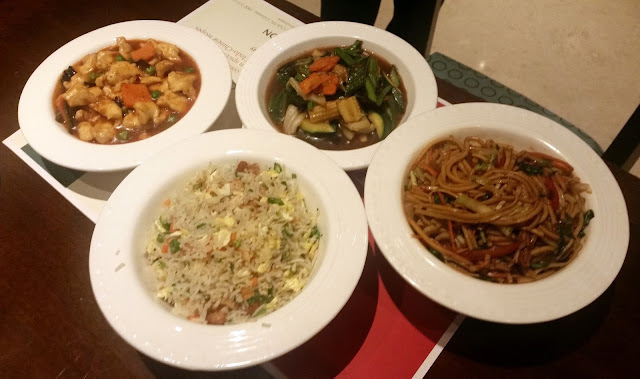 The Indo-Chinese menu cannot do without Chilli Garlic sauce, and we had a vegetarian dish Spinach, Mushroom, and Babycorn in Chilli Garlic Sauce. I missed a few typical Chindian dishes in the spread – especially Manchurian starters and gravy items in hot garlic sauce. The so-called Hyderabadi Chinese items like Apollo Fish could not make the cut either. However, the promotion has a rotating menu, so maybe they are planned for a different day. The meal ended with the familiar Darsan served with honey and ice cream. The promotion brought back to me a lot of old memories as I was particularly fond of this cuisine in my childhood at Kolkata. 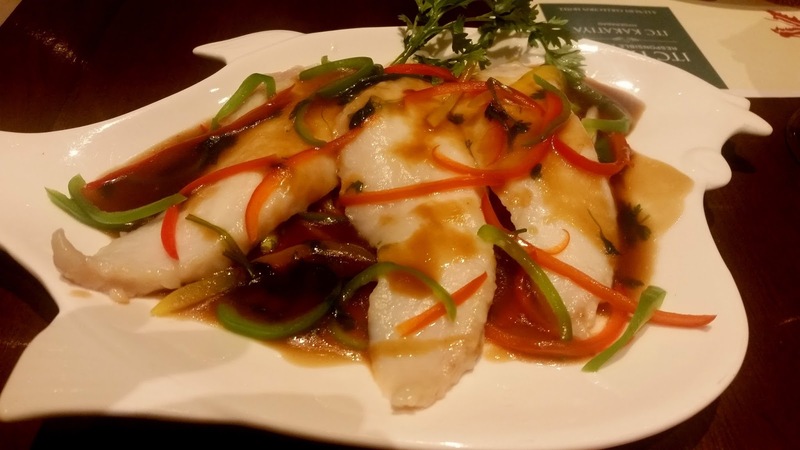 A boy and his group of food-loving friends used to walk down to their school to save the bus fare so that after a week we could use the accumulated sum to taste the Chinese food at “Kim Wah” an Indo-Chinese restaurant in Ballygunge. Even after all these years, I still love the cuisine. 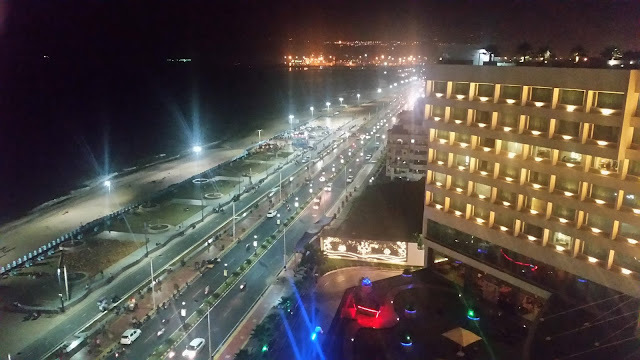 The promotion is on till 15th May at Deccan Pavilion only for dinner as part of their regular buffet.